Adjective: Possessing great and impressive power or strength. The idiom ‘the pen is mightier than the sword’ means that words and communication are more powerful than wars and fighting. It was first penned by English author Edward Bulwer-Lytton in 1839 for his play Richelieu; Or the Conspiracy. But how does this make you and I have in our possession a ‘great and impressive power or strength’? Well, for me it’s easy. As a punk I am hot-wired to question authority, ask questions and demand answers to the things I see wrong with society and challenge the mind-set of anyone who isn’t acting in the best interests of the environment. When I was at the Paralympics in London last week I had a conversation with some people about breaking the rules. I ended up saying with a smile that some people think the rules don’t apply to them and I know because I’m one of them. I said it in jest but totally meant it. Breaking or at least bending some of the standard set of rules is the only way to make change in the world. Most rules outside the 10 commandments are put in place to protect those in power and create a reliance on the state. Asking questions and exposing your views to power-mongers makes them very uncomfortable but it’s the only way we, the people can make changes to those things we know in our souls are wrong. I’ve known my whole adult life I have a ‘great and impressive power or strength’ but only in the very recent past, probably the last 10 years has that knowledge led me to write and make my view in an intellectual and calm way. 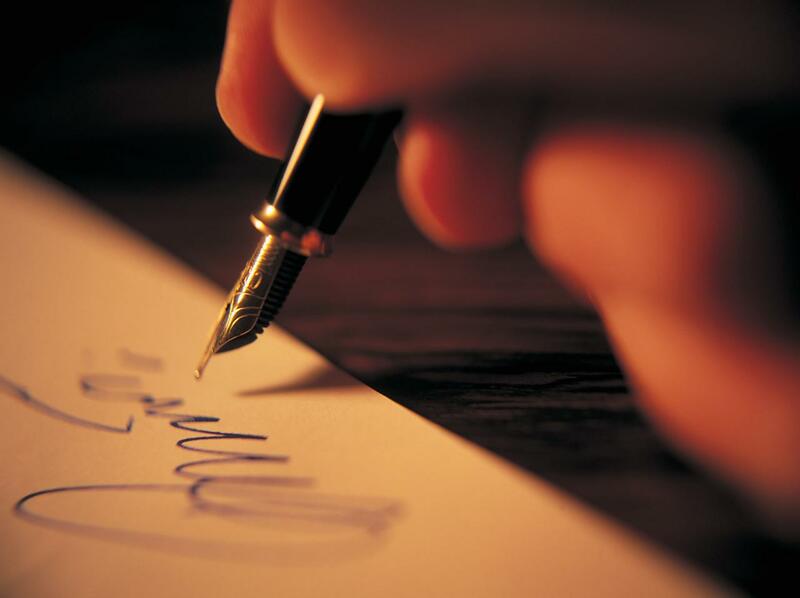 Writing a letter by hand preferably and posting it Signed For means that the recipient knows you mean it. If it’s to someone overseas I’ve made sure I’ve written it in either French or whatever language they speak. I’m polite, diplomatic and offer solutions but never rude, threatening or rant over the issue in question … facebook is for that (lol). Trust me the governments, corporations and the organised jobs-worth brigade have realised the internet is a powerful tool for collective action, they will eventually find a way to block e-petitions and anyone enlisting people-power that challenges their authority. On my Pink-lobbying page is some information on how to reach your politicians. So learn to write letters about the things that hurt your soul, turn off the TV for one hour a week and use a pen to wield your power. In answer to the question then is the pen mightier than the sword? I’m not going to tell you what to think but I believe it is and wholly believe myself that when enough people write to those in power then ‘States can be saved’ and the environment protected. Great work on your blog, it seems like a good amount of research was done to build this content. There is nothing more important than good quality content there days!